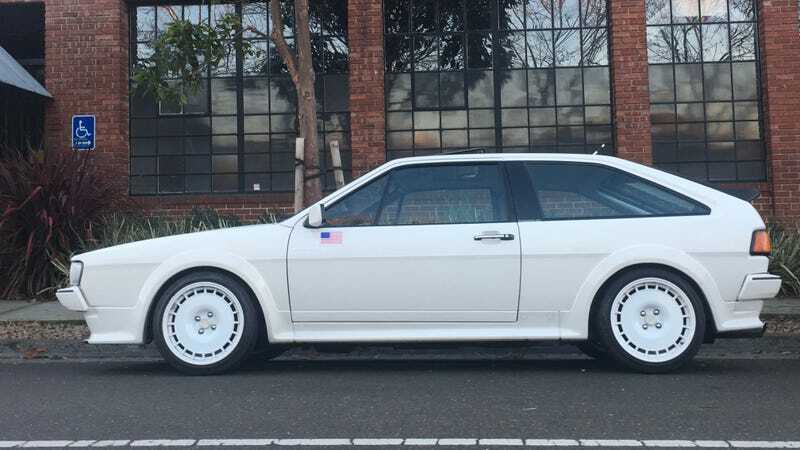 This weekend I saw the Volkswagen Scirocco above, and it momentarily convinced me that the Compomotive TH1580 is the coolest wheel in history. I snapped out of that relatively quickly, but it’s still certainly on the list of Very Cool Wheels. It didn’t hurt that this old-school ‘Rocco was a rare 16v model, still owned by the original owner, and carrying original paint. Compomotive has been in the wheel business since 1973, and they have made quite a few excellent designs in that time. One of their best designs is the monobloc TH1580, featuring a contoured fully enclosed wheel face and several very short spokes connecting the wheel face to the wheel rim. This wheel was designed with rally, and by extension strength, in mind. In that way, form follows function, giving a very cool, if somewhat unorthodox, visual. This wheel is popular among Volkswagen owners, as it primarily comes in 4X100 fitment, and has been sold in various diameters and widths since, usually most common in 15" diameter. This wheel design is still available today from Compomotive, as part of their ‘Heritage’ collection, though it is special order only, and they list just one size.